Correction: A follow-up paper by Barth & Stern (2018) has shown that the evidence for periodic light variations presented in Dorn-Wallenstein et al. (2017) and publicized in this press release is not, in fact, significant. Although a supermassive black hole behind M31 has been discovered, the claim that a pair of supermassive black holes was detected can no longer be made. Editor's Note: Honest errors such as this are part of the scientific process, especially on the frontiers of discovery. To quote Nobel laureate Frank Wilczek, "If you don't make mistakes, you're not working on hard enough problems. And that's a big mistake." A pair of supermassive black holes has "photobombed" the Andromeda galaxy. Astronomers previously thought this source, known as J0045+41, was part of Andromeda, which is about 2.5 million light years from Earth. New data from Chandra and ground-based optical data reveal J0045+41 is actually 1,000 times more distant. The latest information suggests J0045+41 contains a pair of giant black holes orbiting one another extremely closely. An intriguing source has been discovered behind the nearby Andromeda galaxy using data from NASA's Chandra X-ray Observatory and ground-based optical telescopes. Previously thought to be part of the Milky Way's neighbor galaxy, the new research shows this source is actually a very distant object 2.6 billion light years away that is acting as a cosmic bomb, as reported in our press release. 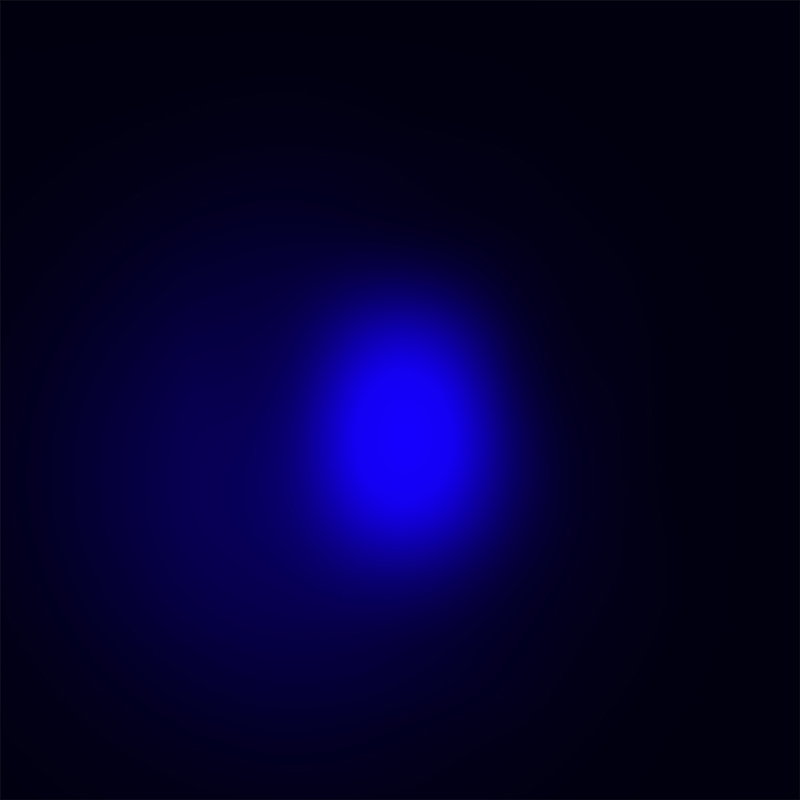 This graphic shows the Chandra data (blue in inset) of the source known as LGGS J004527.30+413254.3 (J0045+41 for short) in the context of optical images of Andromeda from the Hubble Space Telescope. In the inset image, north is up and in the large image north is to the lower right. Andromeda, also known as M31, is a spiral galaxy located about 2.5 million light years from Earth. Even more intriguing than the large distance of J0045+41 is that it likely contains a pair of giant black holes in close orbit around each other. The estimated total mass for these two supermassive black holes is about two hundred million times that of our Sun. J0045+41 was previously classified as a different type of object — a pair of orbiting stars — when it was thought to occupy Andromeda. A team of researchers combined the Chandra X-ray data with spectra from the Gemini North telescope in Hawaii, providing evidence that J0045+41 contained at least one supermassive black hole. Using data from the Palomar Transient Factory telescopes in California, the team found repeating variations in the light from J0045+41, a pointer to the presence of two orbiting giant black holes. The researchers estimate that the two putative black holes orbit each other with a separation of only a few hundred times the distance between the Earth and the Sun. This corresponds to less than one hundredth of a light year. By comparison, the nearest star to our Sun is about four light years away. A paper describing this result was accepted for publication in The Astrophysical Journal and a preprint is available online. NASA's Marshall Space Flight Center in Huntsville, Alabama, manages the Chandra program for NASA's Science Mission Directorate in Washington. The Smithsonian Astrophysical Observatory in Cambridge, Massachusetts, controls Chandra's science and flight operations. A pair of giant black holes orbiting around each other. About 2.6 billion light years away. X-rays from the Chandra X-ray Observatory, optical light from other telescopes. The inset image is about 172 light years across. X-rays are blue. Optical is red, green, and blue.